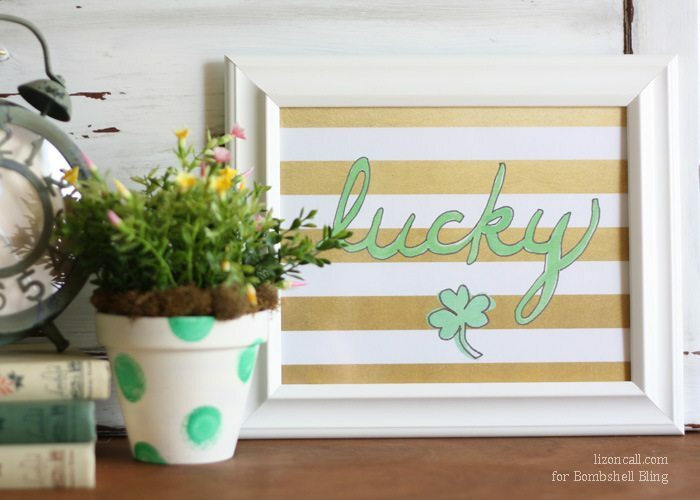 This free Lucky watercolor printable is the perfect addition to your St. Patrick’s day decorations this year! Growing up I always dreaded St. Patrick’s Day. I was always worried that I would get pinched because I forgot to wear green. Because I didn’t own a lot of green things in my wardrobe. It wasn’t one of my go to color choices. As I got older though, I’ve learned to appreciate St. Patrick’s Day not just because of all the partying that typically takes place, but because of all the reminders of luck! As I’ve become a wife and mother, one of my favorite words is Lucky. I absolutely love the reminder of how lucky I am each day for the wonderful blessings and opportunities I’ve had in my life. It’s so easy to get bogged down with day to day stresses and worries, that every now and again we need to be reminded of just how lucky we are. Lately I’ve been practicing some hand lettering and of course I needed to try out my lucky writing skills. I loved how it turned out so I wanted to create it into a print that I could display in my home. I pulled out my water colors to make a background for my lucky printable. I love the ombre effect that I created. 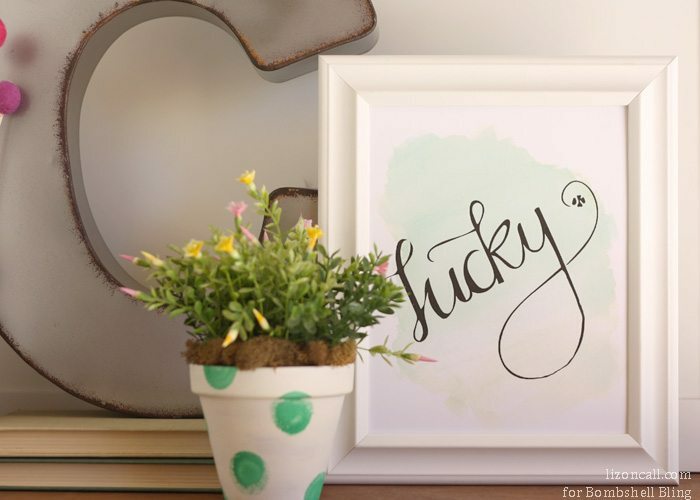 This lucky watercolor printable turned out so wonderful. (Pictures don’t do it justice.) Yes this is perfect for St. Patrick’s Day decor, but it could be kept up all year as a simple reminder. 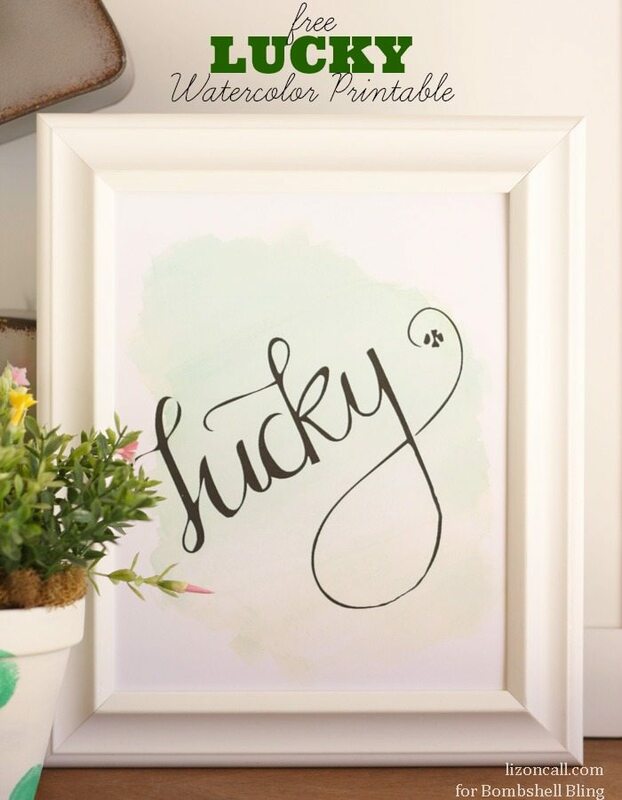 Download the free lucky watercolor printable using the download link below. This is for an 8×10 printable for personal use only. I just focus on my luck! Cute printable. I hafta admit, I often wonder about the luck of the irish – is it good or bad??!! Happy St. Paddy’s to you and Thanks for bringing this by Throwback Thursday! 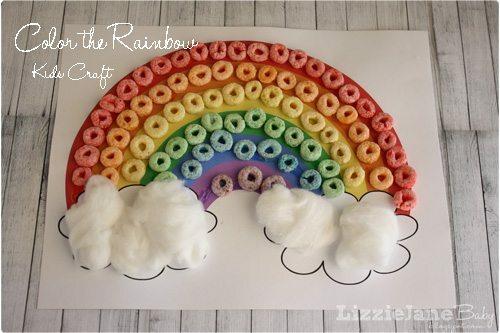 Super cute printable! Thanks for sharing!